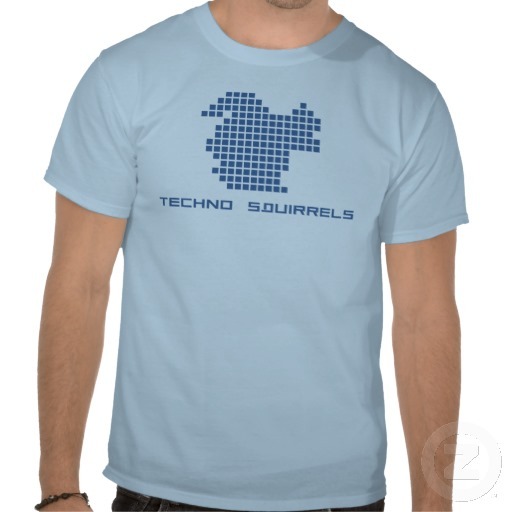 Techno Squirrels Pixelated Squirrel Shirt for Men, Women, and Kids. You can buy this shirt here. Techno Squirrels in an electronic artist. Whether you're a fan or not, this pixelated squirrel shirt is appealing in its own right. Even with pixellation, the design still reads clearly as a cool squirrel image. It's available from Zazzle in many colors and 92 different styles, encompassing men's, women's and children's clothing.